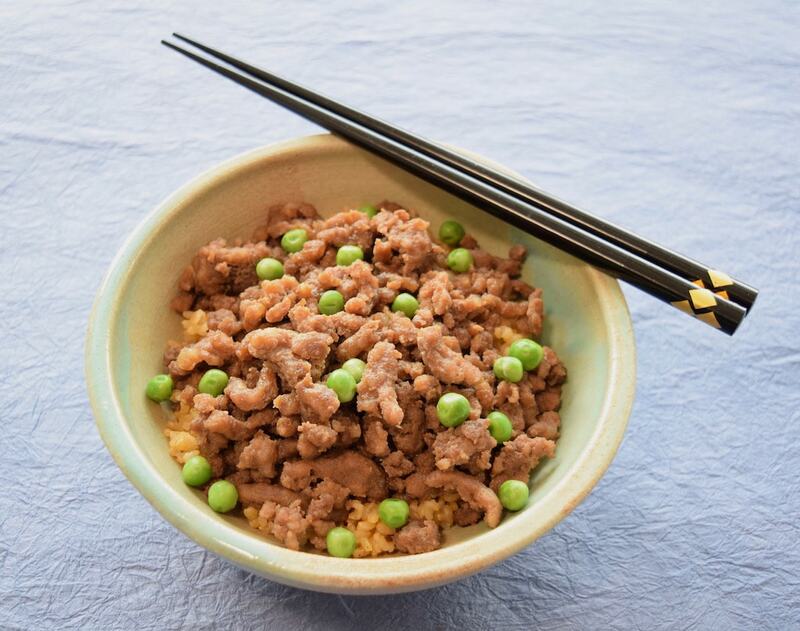 This easy-to-make rice bowl dish is popular in Japan. 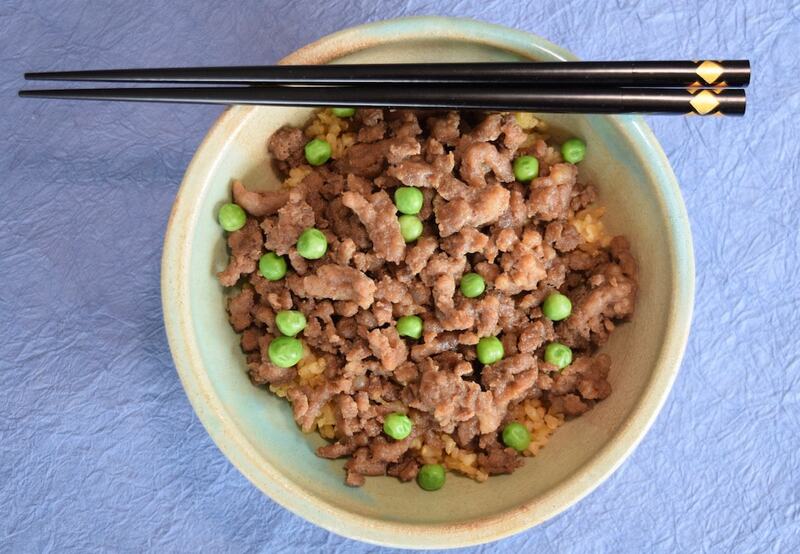 Just like many other types of rice bowls, it’s meat and vegetables over rice. When living in Japan, I noted that many Japanese love the polar opposite ends of the food spectrum: kaiseki, the painstakingly difficult-to-make traditional foods served in a series of small-plate courses, and their one-bowl counterparts, such as ramen and the various donburi. Kaiseki meals can take over an hour, while a donburi or bowl of ramen can be snarfed up in just a few minutes, allowing the busy diner to quickly be on his or her way. The key to this flavorful rice bowl is simmering the meat slowly, so it takes on the flavor of the broth in which it is cooked, in this case, soy sauce, mirin, dashi and sake. Put the meat (I use pork), cooking liquids and sugar in a medium saucepan and cook over medium-high heat. Break up the meat and stir occasionally. After about 5-10 minutes, add the peas and ginger (plus onion and mushrooms, if using), allowing the mixture to gently cook until most of the liquid is cooked off, but don’t let it get completely dried out. Remove from heat. At this point, the meat should be cooked, but not dried out. Divide your rice into bowls and top with the meat. Add garnish, if using, and serve hot.